Dave P. & Sammy Slice…UNITED! Since 2000 Dave P has presented Philly’s Making Time events which have hosted performances from some of the raddest bands from around the world. This May Making Time celebrated FOURTEEN years of radness. In addition to presenting, Dave P along with partner Sammy Slice is the main floor DJ at all Making Time events. The popularity of Dave P’s DJ sets have also landed him a monthly radio show at one of the East coast’s most respected and widely listened to commercial-free radio stations, 88.5 WXPN. His Making Time RADio show on XPN has won thousands of fans worldwide and has become a breaking ground for some of the biggest indie and dance music tracks of our time. Dave has also worked as a producer and remixer along with production partner Adam Sparkles, who together have produced original tracks including Sunday Night in Glasgow, Hoover Apprentice, Delaze and Tuesday’s Gone and have remixed Bloc Party, Klaxons, Holy Hail, Pin Me Down, Of Montreal and many others. 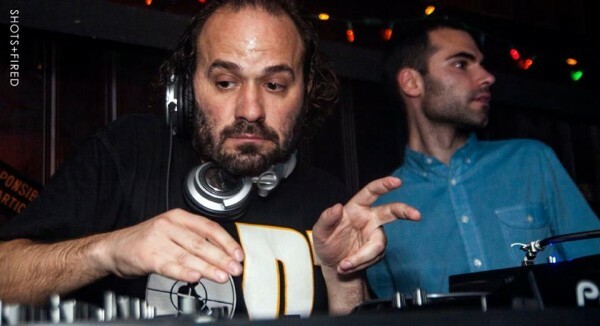 Dave P. is one half of New York’s FIXED party, along with his partner JDH, and is a resident at some of the New York’s raddest clubs including Le Bain & Output. Along with FIXED DJ partner JDH they have toured as support DJ for Soulwax Night Versions & Simian Mobile Disco on their American and European tours. Dave P. has DJ’d several festivals in US and Europe including Coachella, Electric Zoo, Wavefront Fest, FYF, Virgin Fest and Primavera Sound. Making Time resident DJ and creator of BNNA CLPS and MagicMagic, Sammy Slice shines the spotlight back where it belongs, the dancefloor. This entry was posted in Event and tagged dave p and sammy slice united, davep, davepandsammysliceunited, futuristicsounds, philadelphia, philly, sammyslice, the dolphin, the dolphin tavern by admin. Bookmark the permalink.